Grand Central Publishing, 9781455558421, 496pp. Sam Capra is on a one-man mission to find his brother . . .
And to stop a war. Two brothers. One dead, executed by extremists on a grainy video. The other forged into a top undercover agent. But now, Sam Capra has reason to believe that his brother, Danny, may be alive. And if Danny has been living a secret life these past years, where has he been--and what has he become? 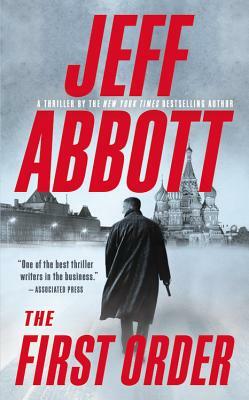 Sam's desperate search for his brother leads him into a modern heart of darkness: the Russian elite inner circle, a group of ruthless ex-KGB billionaires who owe fealty to Russia's corrupt president, Morozov. One of these men wants Morozov dead. And Danny will be the one to kill him--on American soil. To save his brother--and to save the world from certain war--Sam, along with his mysterious partner, Mila, must stop Danny from killing Morozov. The mission will take Sam from the slums of Pakistan to the hipster galleries of Brooklyn to the Caribbean playgrounds of the superrich. And as Sam untangles the secret past locked in his brother's heart, he may be forced to make a choice between his brother--and the greater good . . .